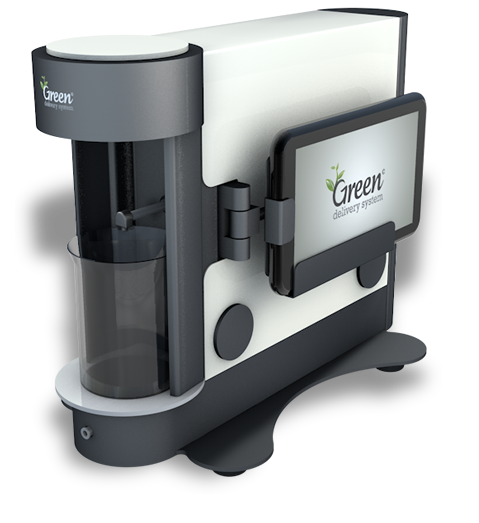 Introducing the first fully automated nutrient dosing and mixing system, that can be adapted to any plant variety. 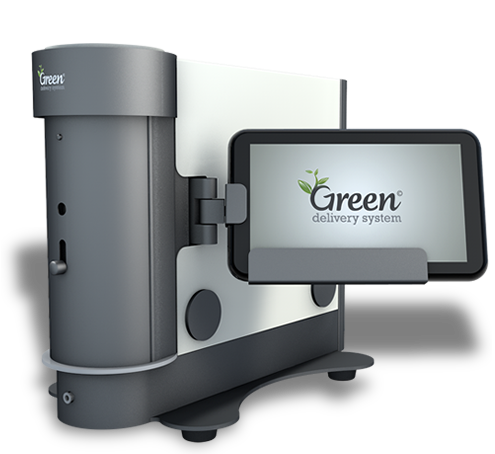 Green Delivery System brings you increased efficiency, accuracy and traceability of all your indoor and outdoor feeding schemas programmed. Dosage ranging from 0.1ml / L to 6 ml / L of water. Frees the user from the constraints of preparation, handling. Manages all your feeding schedules, which avoids all dosing errors. Automatic start-up and programmable system. Supplied with the specific bottle caps (depending on manufacturer nutrients) and pre-program of your specific feeding schedule. The models GDS-G3 and GDS-G4 can run up to six bottles of liquid fertilizers / nutrients and up to five bottles for the GDS-G5. One entry reserved for the cleansing process (osmosis or demineralized water recommended). - Ad-Hoc dosing mode : manually choose your desired dosage using the touch screen and inserting the nutrients needs for your plants. - Programmed mode : Allows the input hundreds of dosing programs according to either your own feeding schedule or the manufacturer’s feeding schedule (as posted on their websites) from one to twenty weeks from growth to bloom periods and the flush. - Automatic Scheduling mode : This mode allows setting an automatic start-up time throughout the duration of the feeding culture, as defined in the programmed mode. Which is the flow of a certain quantity of clean water in the system, providing a ready supply of water in the beaker. This phase relates to the volumetric measure (dosage) of each programmed (or manually inputted) amount of nutrients. This cycle is cleaning the system (distribution and volume-meter) by injecting clean water between consecutive deliveries of different nutrients. 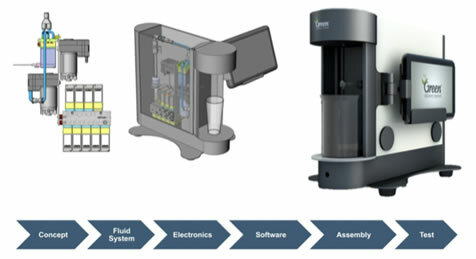 This cycle performs the final cleaning of the system (distribution and measurement) by injecting three volumes of clean water. In addition, this final phase will stop the machine and fill it with clean water in the circuits, thus avoiding all problems of crystallization and clogging of the delivery channels. Assistec is a limited company specializing in the design and implementation of innovative devices. Its focus is the Scientific and Technical Innovation, patenting and sales through licensing. Assistec creates, develops and also wants to promote its own innovative products! With the experience gained during 40 years with the creation of many scientific instruments, particularly in the field of Molecular and Cellular Biology, the Managing Director Dr. Jean Neimark, CNRS Research Engineer, through the experience of creating a Business (1986 Neosytem today Polypeptides, second in the world Peptide Drug) by working closely with a network of national and international companies, multidisciplinary scientific and technical expertise for several decades has created Assistec Family of the GDS. The GDS-G3, GDS-G4 & GDS-G5 models are the third generation. They enjoy all the improvements made by the experience gained in the operation of the previous two generations, during four years of Beta testing and Research & Development. The GDS models are created from the techniques and technologies used in instrumentation of Research and Analysis laboratories. These are state of the art devices in the fields of fluid, electronics and their control. They are the result of rigorous and quality requirements of all involved in this realization and their implementation. 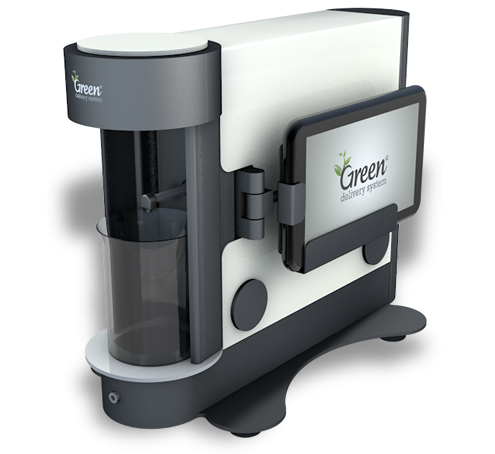 Simple and robust, Green Delivery System is designed and built using state of the art technologies used in chemical analytical laboratories . The vast experience and proficiency, gained by a former engineer at CNRS (The French National Center for Scientific Research) and Christian Bürkert GmbH, are translated in the GDS capabilities of fluid volumetric control, purity and precision. 01. 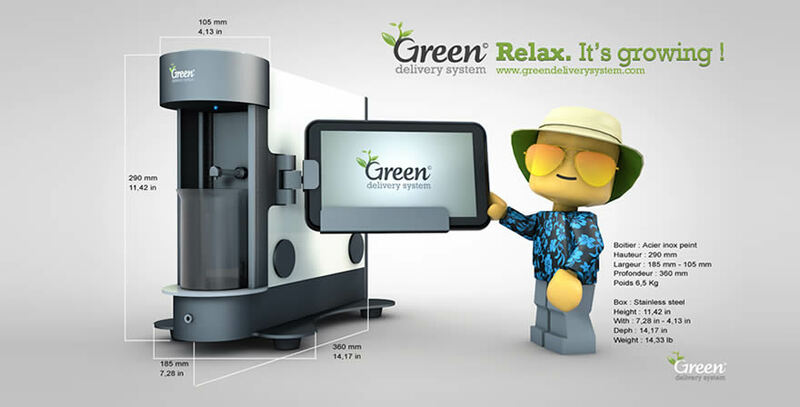 What is the Green Delivery System ? The Green Delivery System is an automatic distributor of optimally adapted nutrients for different types of plants. It is suitable for both amateur gardeners and commercial crop producers. The system uses the most advanced instrumental technology available in analytical laboratories. 02. Which model should I choose ? G3 : In order to prepare 1 to 10 liters of final mixing solution. G4 : In order to prepare 10 to 250 liters of final mixing solution. G5 : In order to prepare 1 to 250 liters of final mixing solution. The GDS does not measure the PH nor the EC. The user must adjust them depending of the PH of his dilution water, the mineral nature of his soil and the nutrients regime of the plants. Manual mode: manually input of the desired final mixing solution (1 to 250 l), and the concentration of each of the nutrients from the feeding schedule. The interface is very intuitive and ergonomic from the touch screen drop down menu. GDS adapts to the different feeding regime of fertilizer manufacturers and offers the ability to input the concentrations in ml/liter, ml/10 liters or ml/100 liters to avoid any mistakes. Programming mode: Manual start of the saved feeding schedule. All the GDS models have an automatic start-up mode of the feeding schedule at the date and time programmed.. The GDS will continue throughout the whole duration of the feeding schedule programmed. 05. Expert, not Expert ? All the GDS models offers an easy and ergonomic programming of your personalized feeding schedules. 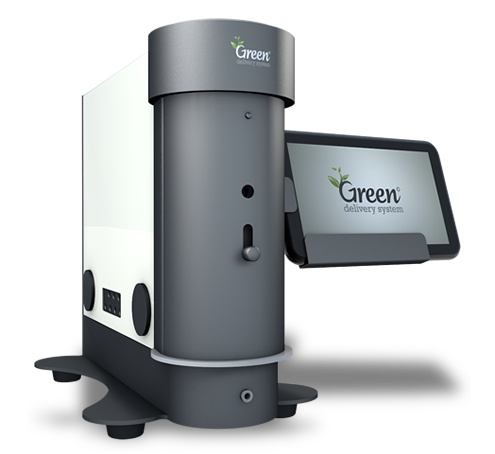 Upon request, Green Delivery System will deliver your model preprogrammed with the feeding schedules of your choice : personalized or manufacturers. The Full range of GDS is developed using the techniques and technologies used in scientific instrumentation by research and analysis laboratories of biological products! The implemented protocols that have been put in place, protects against products crystallization, chemical reactions of inter-concentrated products, and therefore guarantee the absence of contamination throughout the fluid circuits of the system. Each nutrient is treated as a pure nutrient and will stay this way until reaching the final recipient. GDS-G4 : 6 nutrients inputs & 1 tank output. 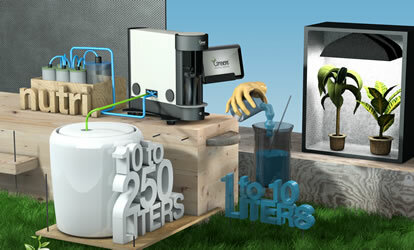 GDS-G5 : 5 nutrients inputs, 1 beaker output & 1 tank output (input E). All models are equipped with a "Lav" input to connect a bottle of demineralized water to clean the fluid circuits. The GDS-G4 offers only input F for nutrients with a medium or high viscosity. Input E is allocated to the tank output. The given values in ml/liter, ml/10 liters or ml/100 liters express the concentration of dissolved active particles in the proposed product. The latter is then designated as a concentrated product. According to its nature: mineral, organic or biological, the concentrated solution may be more or less liquid. It is then more or less viscous or in other words it will flow more or less easily in the connecting pipes. Therefore you should differentiate between: concentration & viscosity. 10. How to determine the allocation of nutrients ? All the GDS have an input to initiate the filling of the pipes connected to the system by the active nutrients. This filling is done by means of a syringe that connects to the front of the machine (description of the procedure in the "instructions" - User Manual). The force to be exerted on the plunger of the syringe is directly proportional to the viscosity of the product. The "paste" viscosity is the absolute limit and it is forbidden to be used on any of the GDS models. 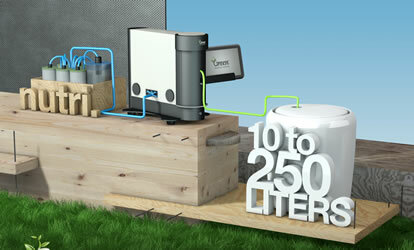 The vast majority of commercially available nutrients, are compatible with the range of GDS machines. All GDS are connected, from a fluid perspective, with connection type "UNF 1/4" - 28. This is a standard used in laboratory equipment. To allow the connection of the GDS to the bottles of nutrients, we offer pipes with a conical cap which allows easy adaptation to the different manufacturer's bottle nutrients. The GDS come with a cap of average diameter. However it will be easy for you to specify the inside diameter of the bottle products that you own. (We'll get a picture with the range of pipes). For viscous products , the GDS models are provided with assistance in filling. Like a train that pulls ten wagons, heavily loaded, two locomotives ensure the movement of the train. One pulls at the front the wagons and the other pushes at the rear. Inputs E & F are inputs with assistance. That is why they are assigned to medium and high viscosities. The assistance starts during the initialization of these two lines. If the product has difficulty reaching into the syringe, then it has a viscosity state that is incompatible with the GDS. All GDS come packaged with pressurized bottles. Under no circumstances should you replace them with another device. The inlet flow pipes are calibrated in diameter and length depending on the type of system. In no way are they to be changed by any other pipes. The input channels of the GDS must be protected by filters. These filters are delivered with the connecting pipes. All these parts requires periodic maintenance. It is advisable to follow the requirements outlined in the "User Manual". The inputs of the GDS should never be connected without a filter. All GDS models have for primary mission to monitor and implement, without any contamination, the precise dosage and distribution of each nutrient of the feeding schedule. The nutrients offered by manufacturers require the adjustment, or not, of the PH of the final mixing solution according to the nature and environment of the plants concerned. GDS is a system that is designed to be neutral of any change, of any manufacturer's specification, and therefore we recommends the use of demineralized water as cleaning water between each distribution of nutrients. Concentrated products tends to settle in the bottom of the bottle. Before starting your GDS, it is recommended to homogenize your nutrients. Several techniques are proposed. Agitation by tilting, circular agitation etc. 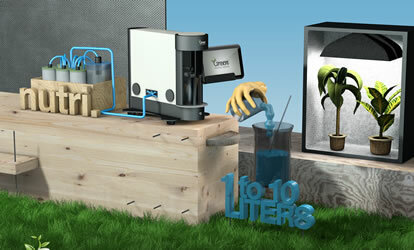 In the future, Green Delivery System, will offer you automatic solutions. It is an essential operation for which the implementation techniques depends on the final volumes. of the introductory price for the first 70 units. Simply fill out the on-line form. A 5% deposit is required to confirm your reservation. The outstanding balance is due three months ahead of delivery (see the terms and conditions of sale). Please leave us a short message ,)! I accept the terms of conditions. You need to accept the terms of conditions. Un site internet par Vegas Deluxe feat. artnok, yellow fabrik & yovo | Mentions légales. - The website www.greendeliverysystem.com/?lg=fr is the property of the ASSISTEC company with a capital of 6.000 Euros and registered with the Strasbourg Trade and Companies Register under the number 507 591 980 with its headquarters located at 10 Avenue du General de Gaulle, 67000 Strasbourg. -By mail at the following address: 10 Avenue du General de Gaulle, 67000 Strasbourg.